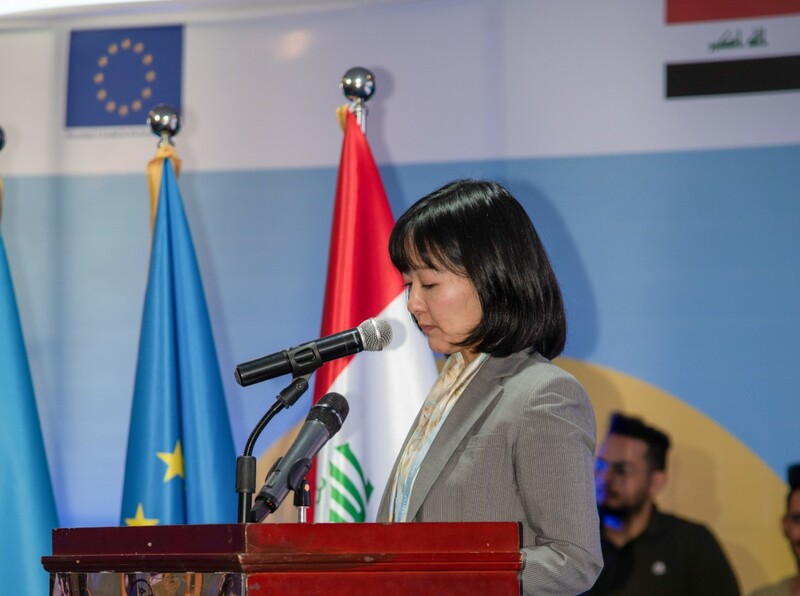 Basra – The European Union (EU), the United Nations Development Programme (UNDP), and the UN Human Settlements Programme (UN-Habitat) continue to work together to help the people of Iraq in their pursuit of recovery and stability. On 28 March 2019, representatives of federal and local authorities, community leaders, non-governmental organizations, businesses, academia, as well as implementing partners, gathered in the city of Basra, South of Iraq, to launch a new programme. With EU funding of €47.5 million over 4 years, the programme aims at supporting the implementation of local priority actions, derived from the Provincial Development Plans and the Sustainable Energy Action Plans developed under the Local Area Development Programme (LADP II), that address the top priorities of each governorate and pilot ways to translate policy into practice. In addition, supporting the decentralization of powers from central to local authorities, including through the development of institutional capacities, the optimization of revenue generation systems, peer-to-peer partnerships with EU local authorities, the empowerment of civil society to advocate for local development causes, mobilization of additional resources, and improvement of donor coordination will be part of the activities. Head of UN-Habitat Iraq, a.i., Ms. Yuko Otsuki, thanked the European Union for its generous contribution to the urban recovery in Iraq, and stated: “UN-Habitat will implement priority urban recovery activities, such as the rehabilitation of housing, schools, and public spaces, repairs to secondary infrastructure, job creation, skill enhancement, and revenue generation.” Ms. Otsuki assured that UN-Habitat is committed to continue working, to promote recovery, resilience and reconstruction in Iraq.